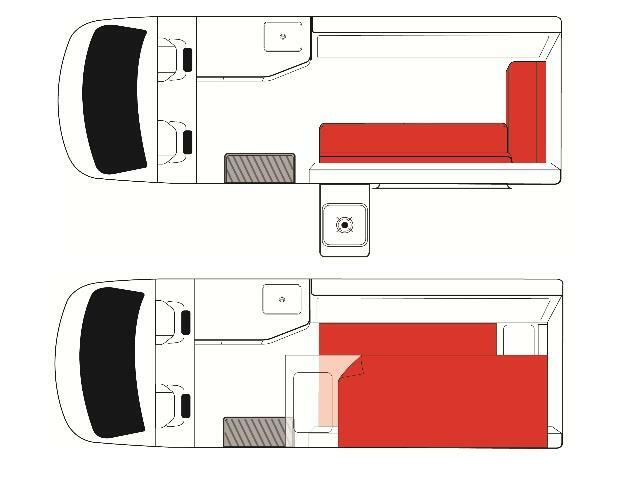 The Ultimate in small campers... A fold out bed that can go from dining to snoozing at the push of a button. Your mate can sleep on the nifty fold down hammock. Hire the Jackpot today and head out on an adventure onto the open Australian road. Heating : Driver's cab heating operates only when engine is running. Child Seats : Child/Booster seats must be pre-booked, otherwise cannot be guaranteed. Please advise age and weight of child on booking. Water Tank : Capacity is 25 litres . It is recommended to fill this tank daily. Kitchen : Refrigerator: The fridge operates on 12V battery/240V mains power. Fridge performance may be affected in extreme temperatures. Average of 12L/100km. This may vary subject to the use of air-conditioning, temperature and terrain. 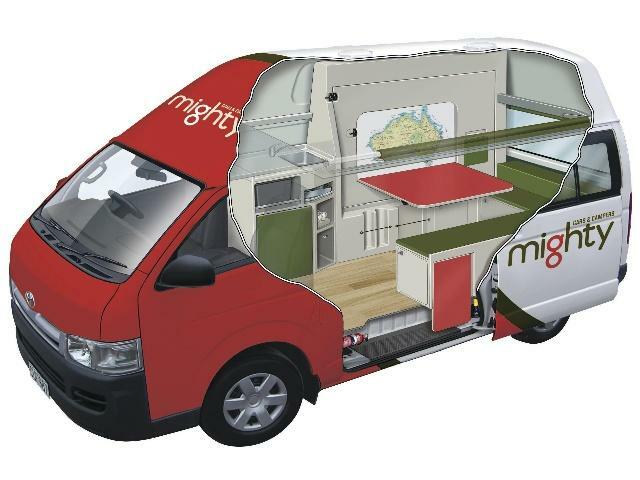 Personal kit (included in Motorhome): Pillow, Pillowcase, Doona/Duvet, Sheet and Towel per person. 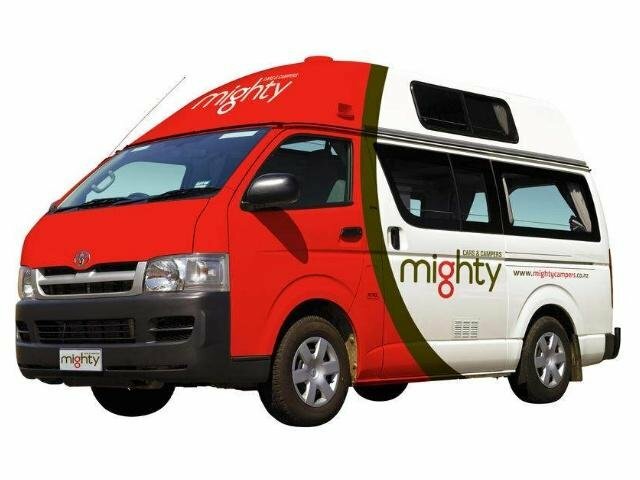 Campervan specifications may vary but will be suitable for the requited number of persons and have similar specifications to those listed. Specific campervan layouts, models/makes and transmission types can't be requested.